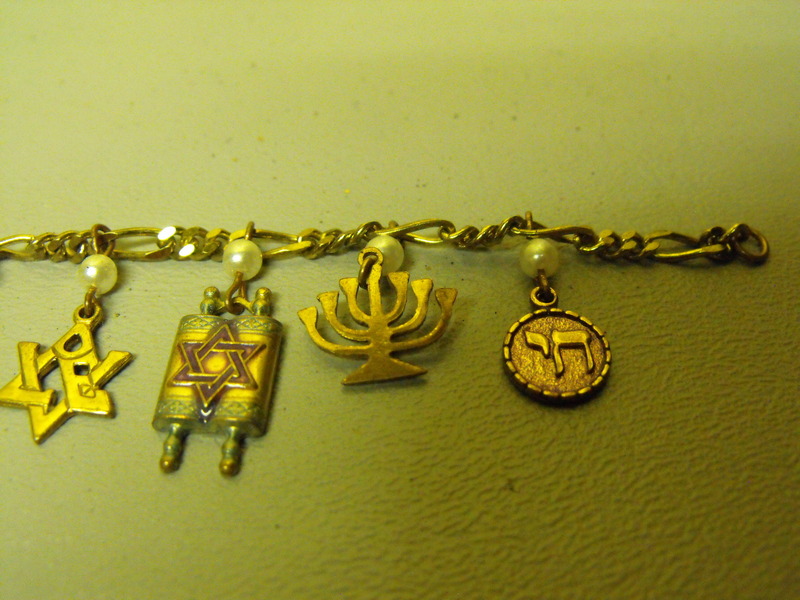 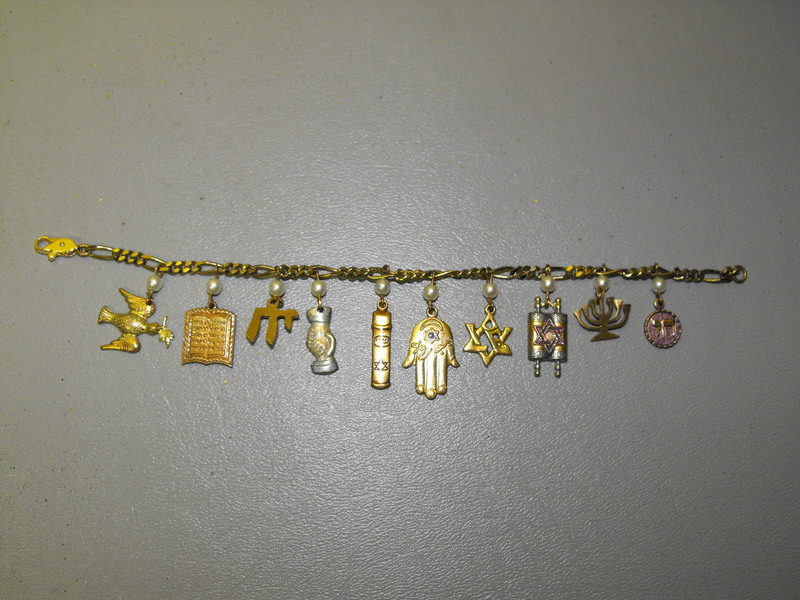 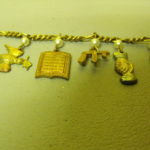 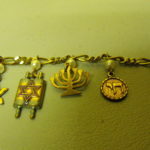 From what we can tell this wonderful Jewish charm bracelet was probably made in the late 50’s or very early 60’s (judging by the clasp) None of the charms are made of precious or semi precious metals. 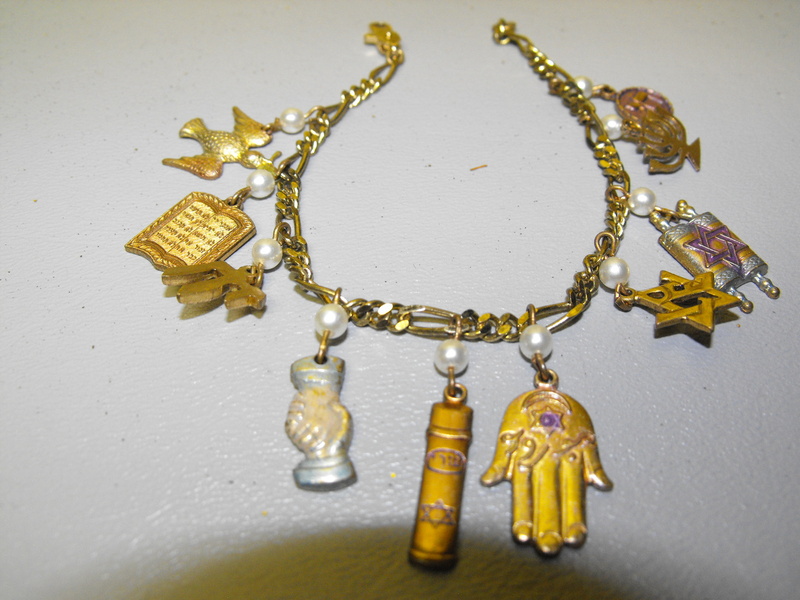 The chain that holds the charms is possibly gold filled, but there are no markings. 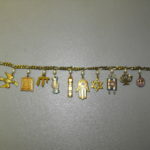 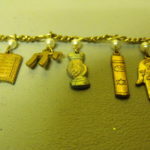 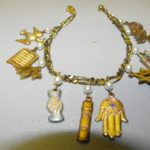 The bracelet measures about 7″ long and contains the following charms: Menorah, Hamsa Hand of Fatima, Torah, Star of David, The Ten Commandments, a Mezuzah, 2 Chai Symbols, Dove w olive branch, and finally Clasped Hands. 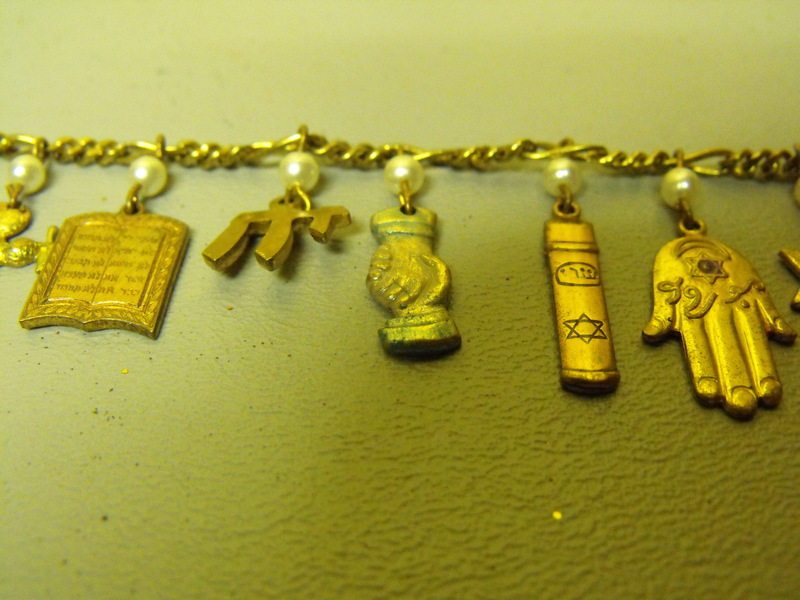 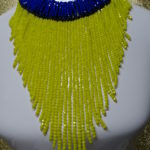 Each charm is topped off with a small faux pearl. 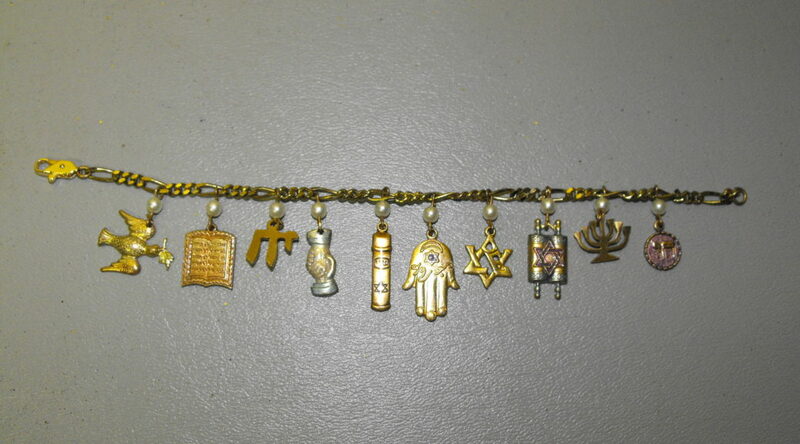 We love charm bracelets because they open a window into one’s heart…..where they have been,…..what they have done. 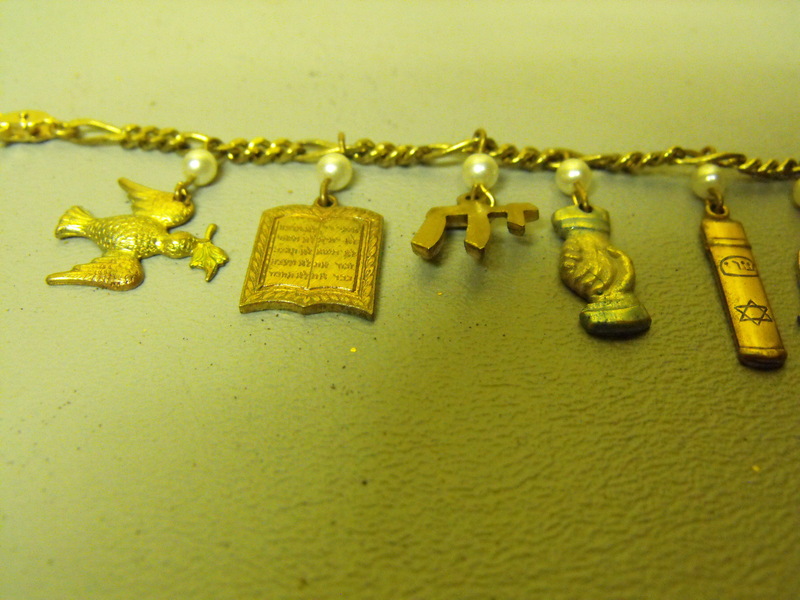 We think this bracelet makes a charming statement.